The 2018 Super High Roller Bowl gets underway Sunday night. When the Super High Roller Bowl was created in 2015, nobody was quite sure what to make of it. It’s since grown into one of the most highly anticipated tournaments of the year and the 2018 event has all the potential to go down as the best yet. The field of 48 players includes some of the best players in the world and is highlighted by Daniel Negreanu, Fedor Holz, and Erik Seidel. Former champions Brian Rast (2015) and Christoph Vogelsang (2017) are in while 2016 champion Rainer Kempe is hoping to win the final seat via satellite on Saturday, May 26. The field includes six of the top earning players of all time and ten players who have been ranked #1 on the Global Poker Index including the current top-ranked player, Adrian Mateos. The U.S. 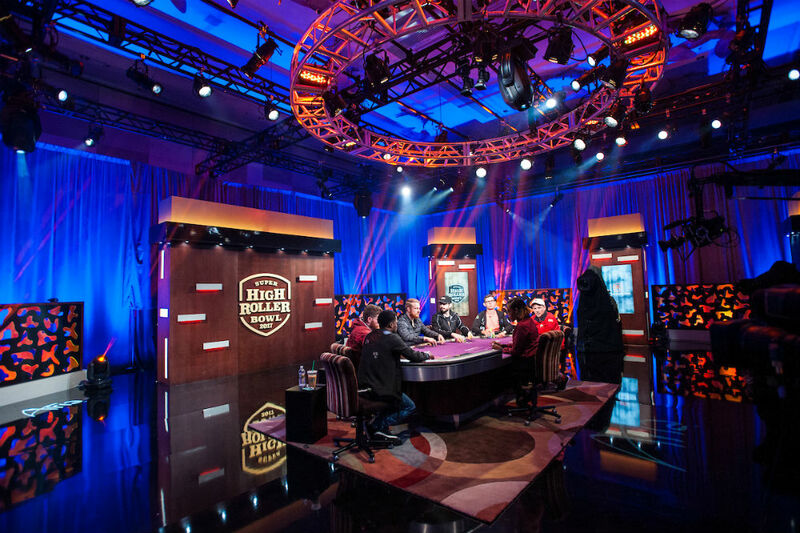 Poker Open and Poker Masters, which make up the other two legs of the High Roller Triple Crown will also be represented by their defending champions, Keith Tilston and Steffen Sontheimer respectively. The 47 confirmed players in the field have a combined $555 million in lifetime earnings. All four days of action will be streamed live on PokerGO. Ali Nejad and Nick Schulman will be in the booth for all four days calling the action. While you probably can’t afford the $300,000 buy-in, you can still have a sweat as the Super High Roller Bowl plays down to a winner. PocketFives is hosting a Super High Roller Bowl Fantasy Contest for all members. It’s free to enter and will award $1,100 in prizes, including the eventual champion walking away with an Upswing Poker Tournament Master Class subscription. Read the rules and draft your team now.